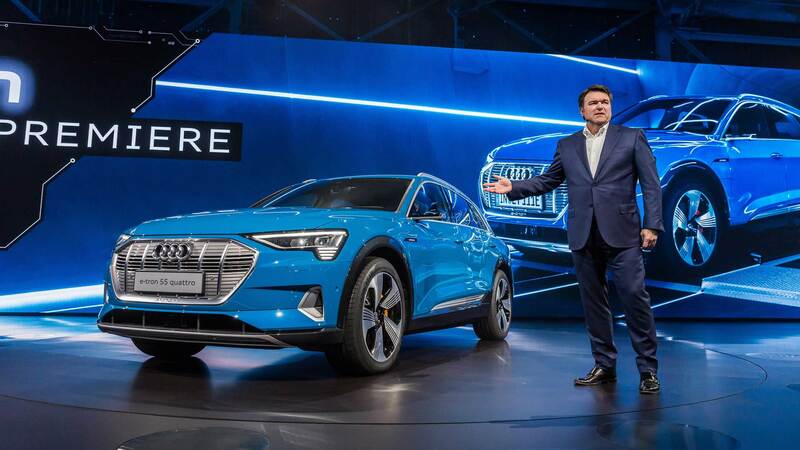 Audi has chosen the San Francisco for the world premiere of its all-electric e-tron SUV. This is the final production model of the prototype we’ve been reading about from the past few months. Will leave the design bit for you to take it all in. If you like the latest Audis, you’ll like this one too. 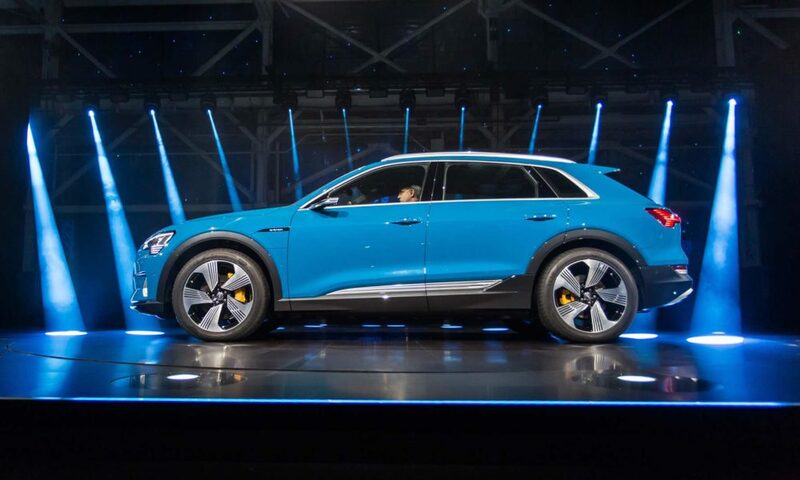 The octagonal singleframe grille is largely enclosed, typical of an electric car, but does have an opening too. 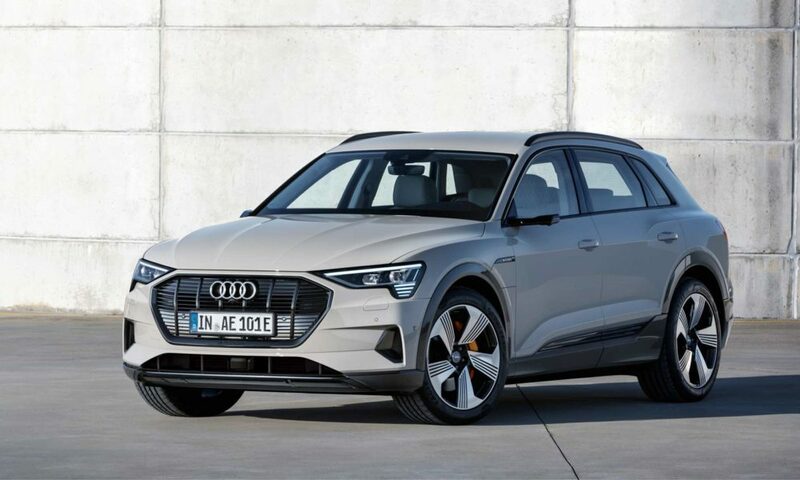 However, unlike the EQC, the e-tron doesn’t look all that different from the conventional Audi SUVs. 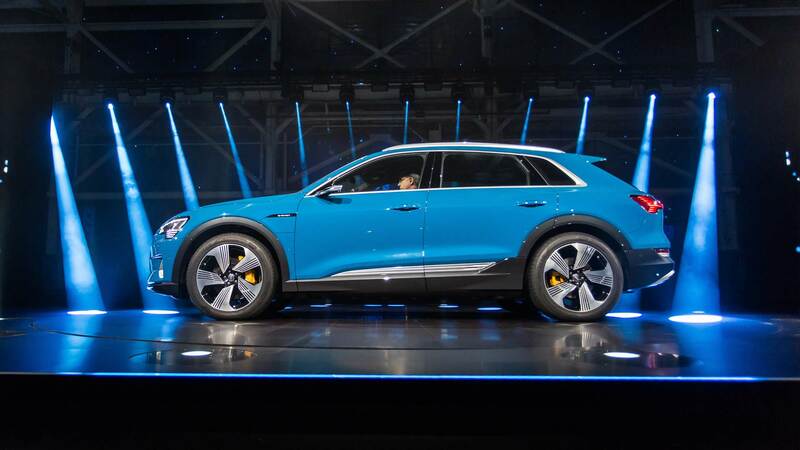 The model featured here rides on 21-inch forged wheels in five-arm turbine design. There’s also aerodynamically optimized 19-inch wheels on offer. In the lighting package, buyers can upgrade the LED headlights to Matrix LED headlights with intelligent high-beam control. 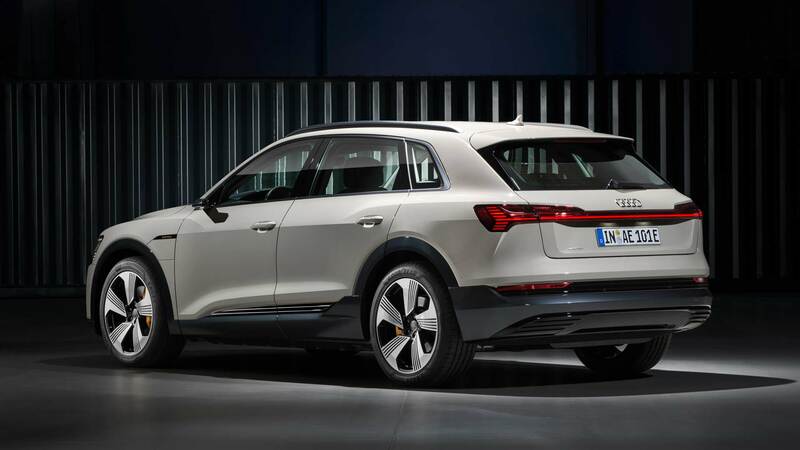 The package also includes dynamic turn signals, daytime running lights with e-tron signature, and lighting scenarios that are activated when the SUV is opened and closed. 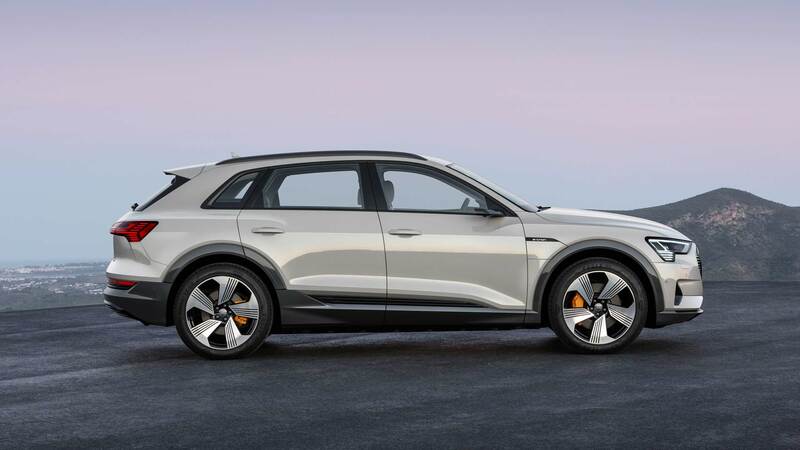 As for the dimensions, the e-tron SUV measures 4,901 mm long, 1,935 mm wide and 1,616 mm high. Wheelbase measures 2,928 mm. 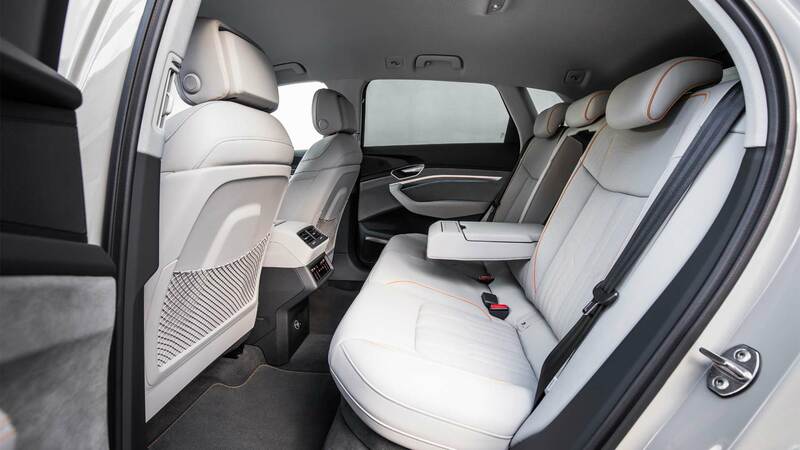 The interiors of the e-tron SUV were revealed in July. Read more about the interiors here. 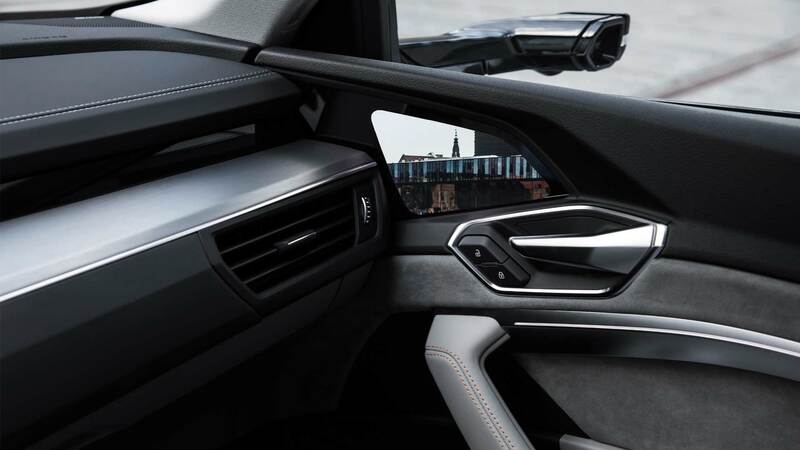 In case you didn’t notice yet, the buyers can opt for cameras instead of the conventional exterior mirrors. 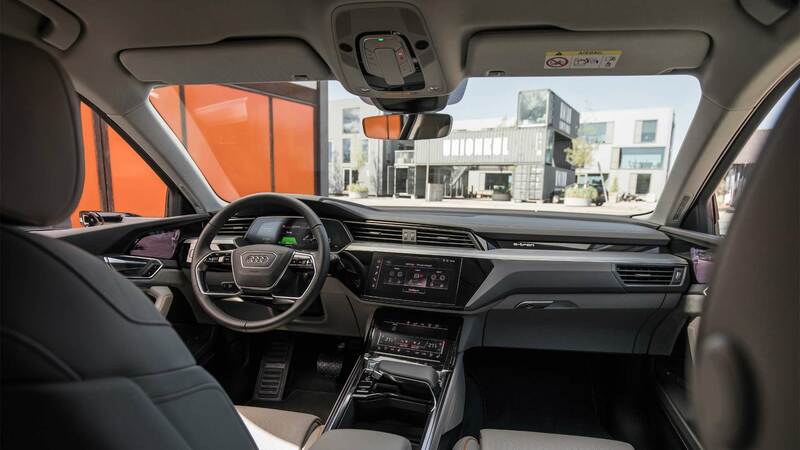 In the German market, the e-tron comes standard with the top-end MMI navigation plus, including LTE Advanced and Wi-Fi hotspot. 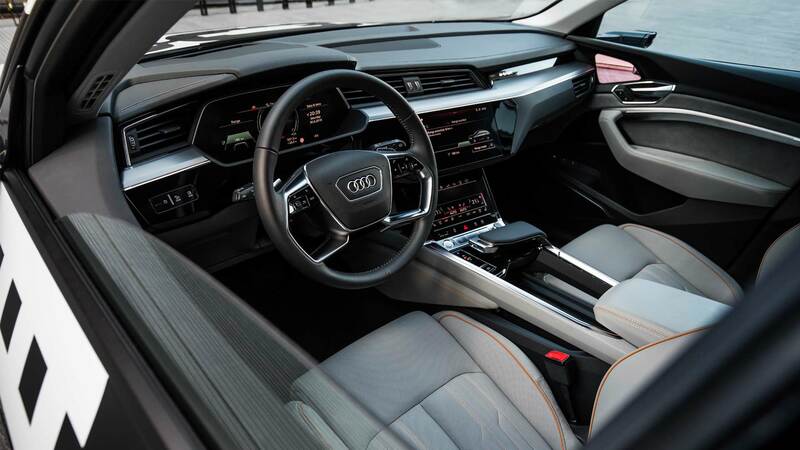 There are many driver assistance features too, including optional adaptive cruise assist, standard efficiency assist, rear cross traffic assist and optional park assist. 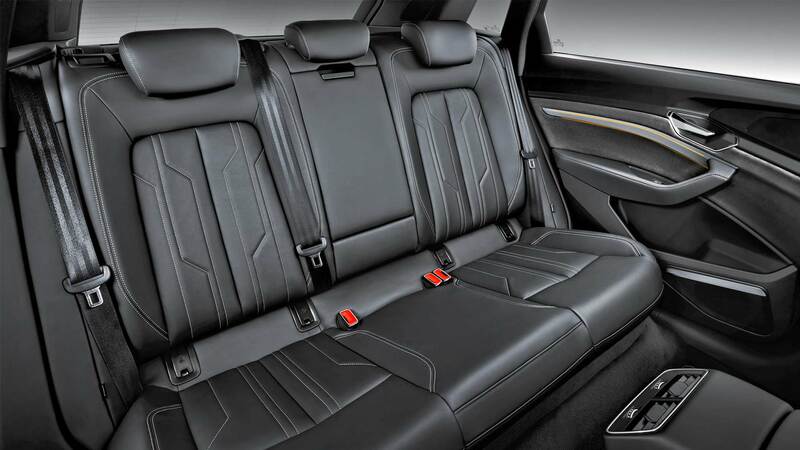 Luggage capacity measures 660 litres and can be increased to 1,725 litres when the rear seats are folded down. 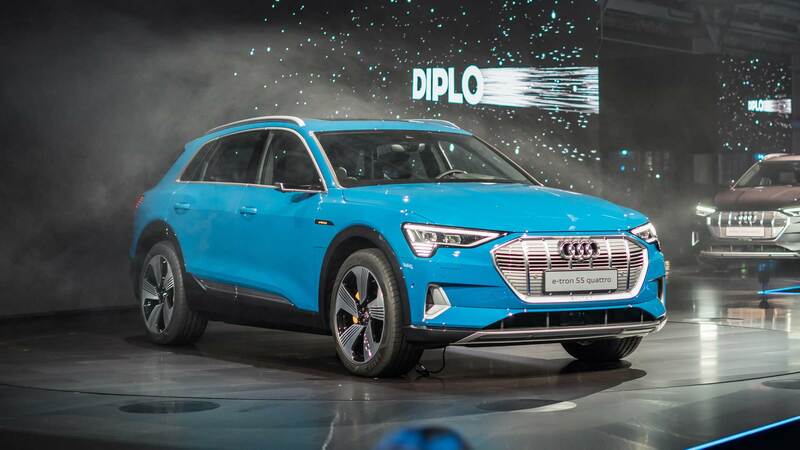 The electric SUV can pull a trailer load of 1,800 kg. 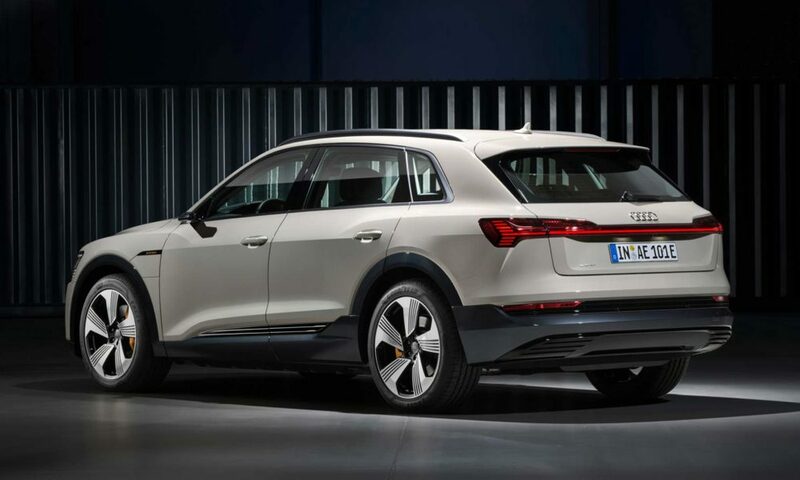 The e-tron comes with adaptive air suspension as standard. 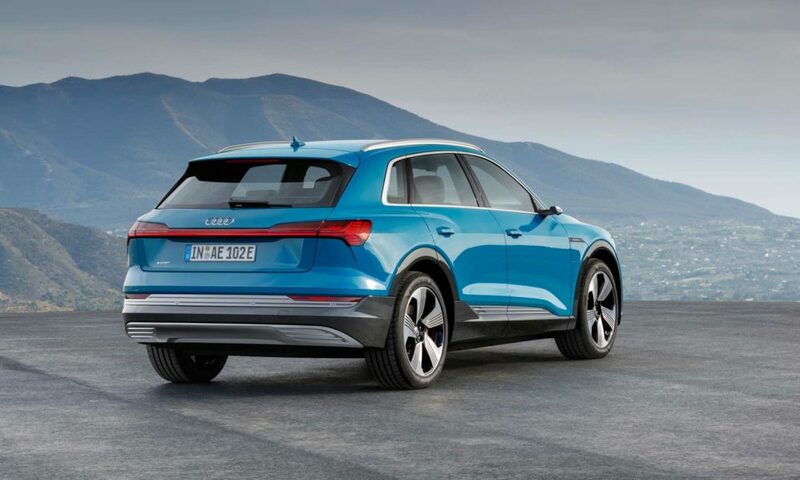 In “offroad” mode, the ground clearance is increased by 35 mm. The body can be raised to an additional 15 mm with the lift function. 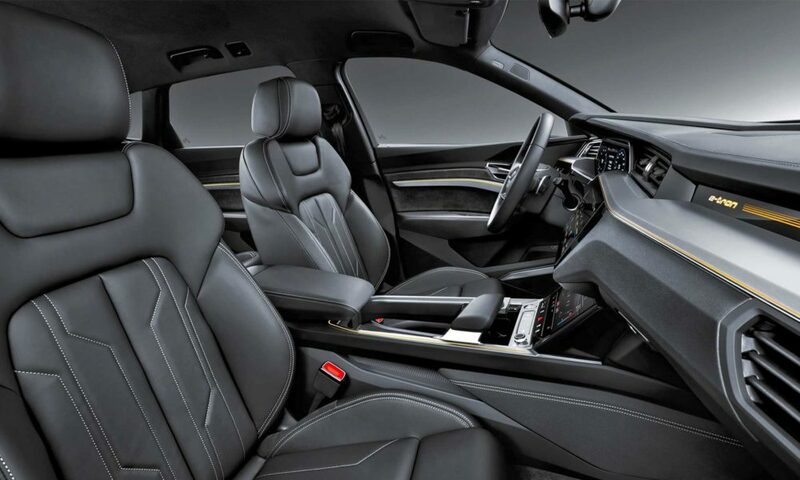 On the highway, the body is lowered by as much as 26 mm, improving stability and aerodynamics. 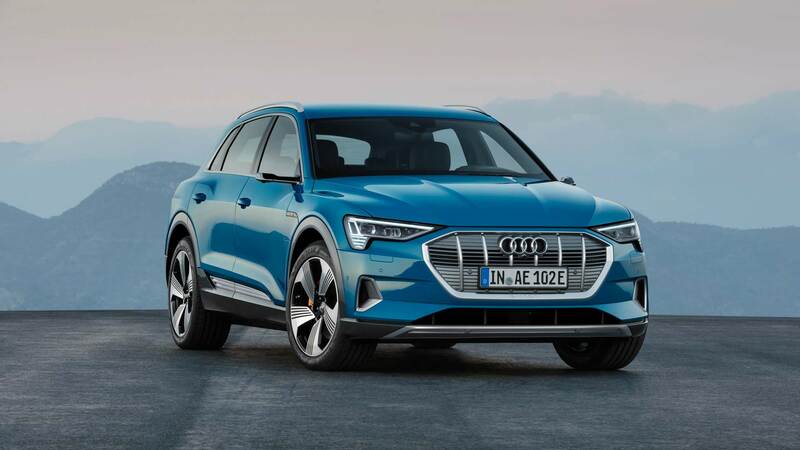 As for the safety, Audi says that the e-tron offers 45 percent higher torsional rigidity compared to a conventional SUV. 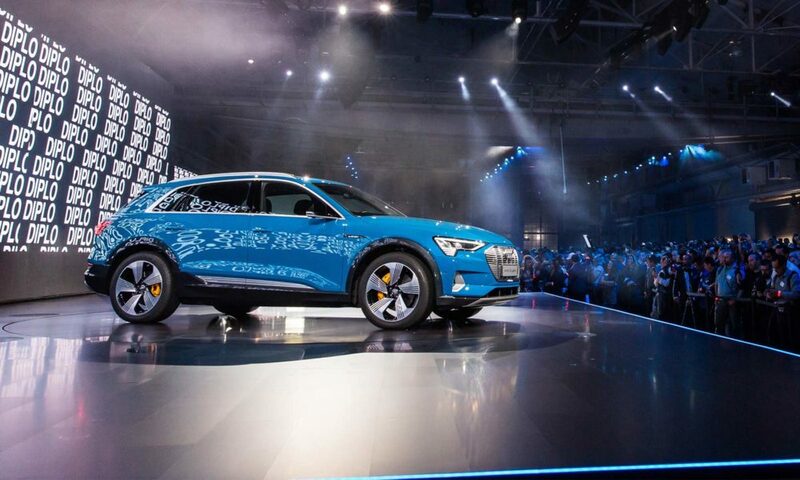 The battery pack is placed in a reinforced aluminium structure and the whole thing weighs around 700 kg. 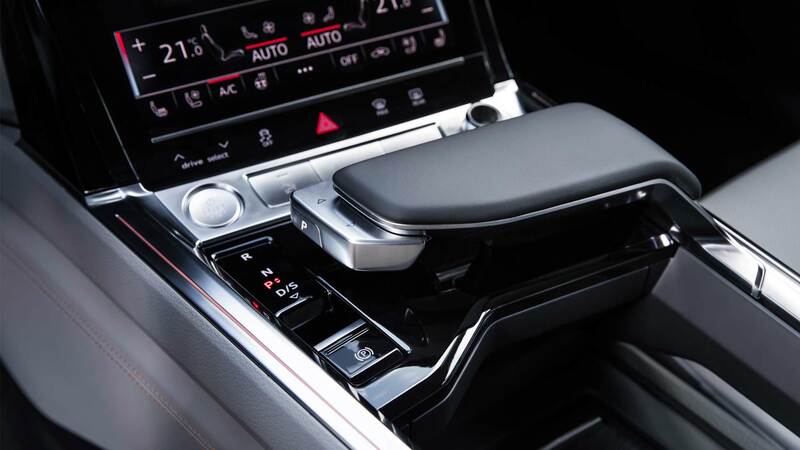 Its housing comprises of 47 percent extruded aluminium sections, 36 percent aluminium sheet and 17 percent diecast aluminium parts. 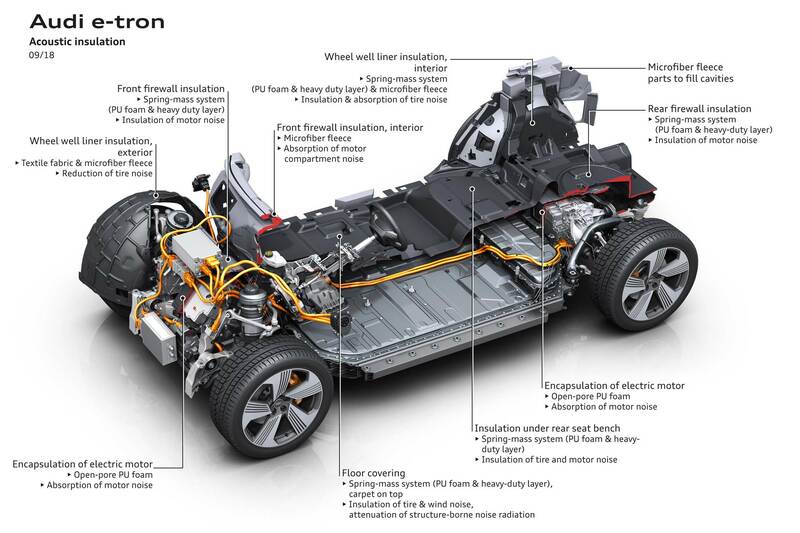 The amount of insulation the e-tron uses. Which brings us to the business end. 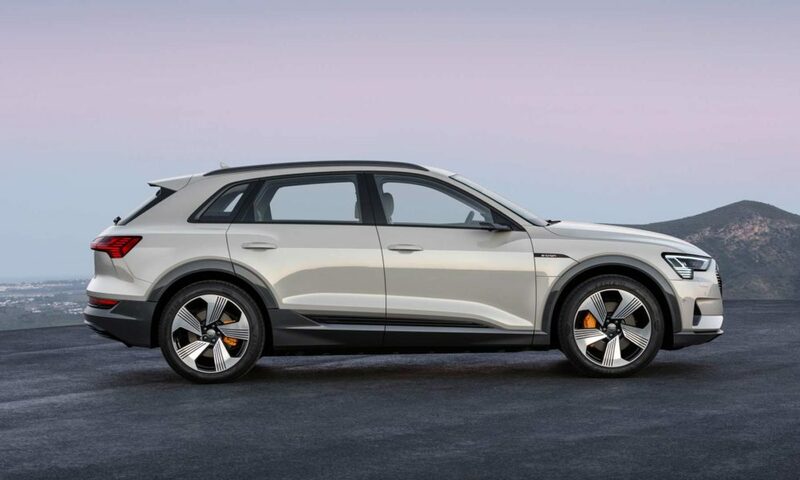 The e-tron SUV is powered by two electric motors, one at each axle, producing a system output of up to 300 kW (402 hp) and 664 Nm (489.7 lb-ft) of torque. 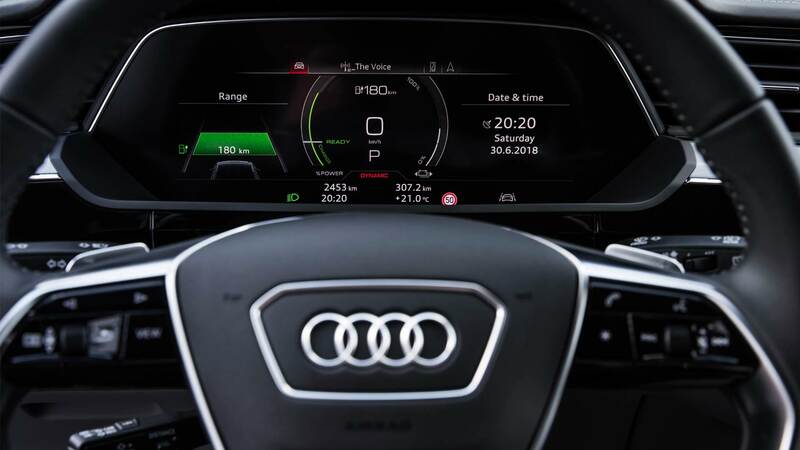 While it can sprint from 0-100 km/h in 5.7 seconds, the top speed is electronically-limited to 200 km/h. 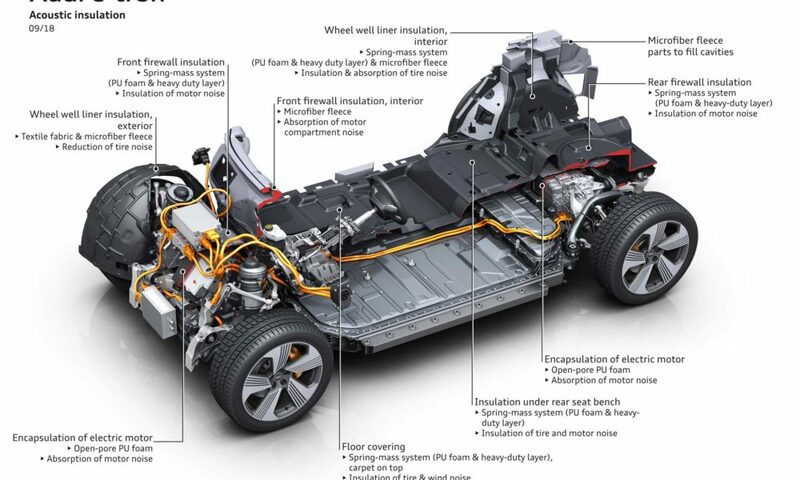 The floor-mounted 95 kWh battery pack is good for a range of over 400 km (248.5 mi) in the WLTP cycle. As for the charging, the e-tron is capable of fast charging at up to 150 kW at DC fast charging stations – a first for series production vehicle. 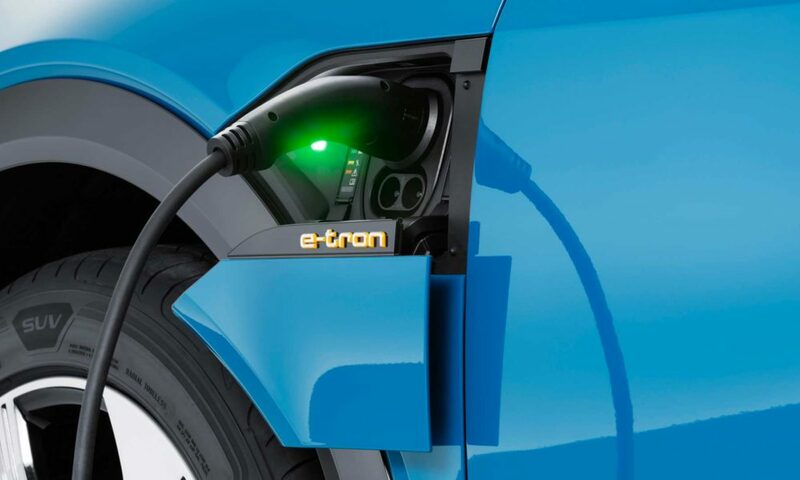 It can also be recharged with AC at up to 11 kW, and 22 kW recharging is available as an option. 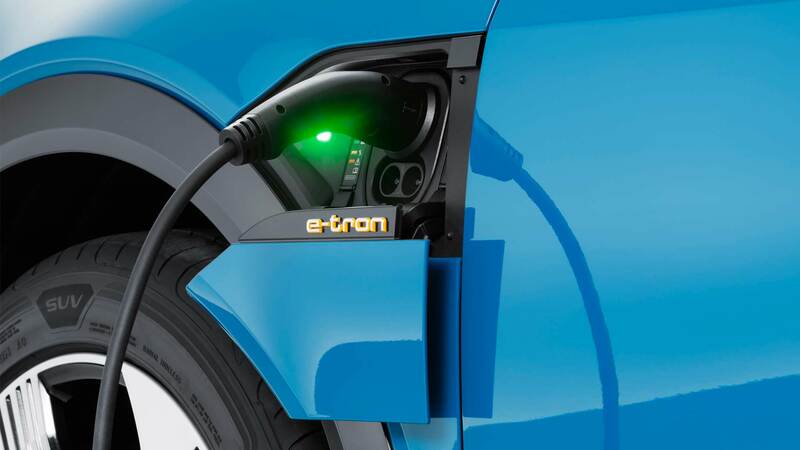 The standard mobile charging system can be used with either a 230 volt household outlet or a 400 volt three-phase outlet. 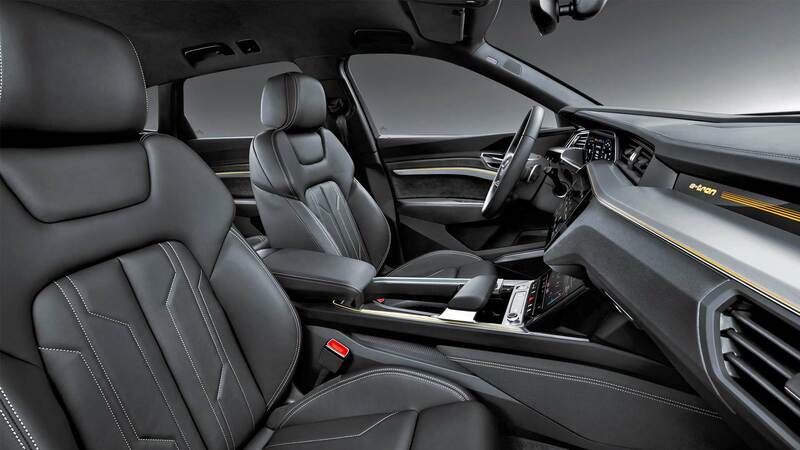 In order to meet the legal requirements, an artificial driving sound is played via loudspeaker in the right wheel arch at low speeds and gradually fades away as speed increases. The sound level increases while reversing. 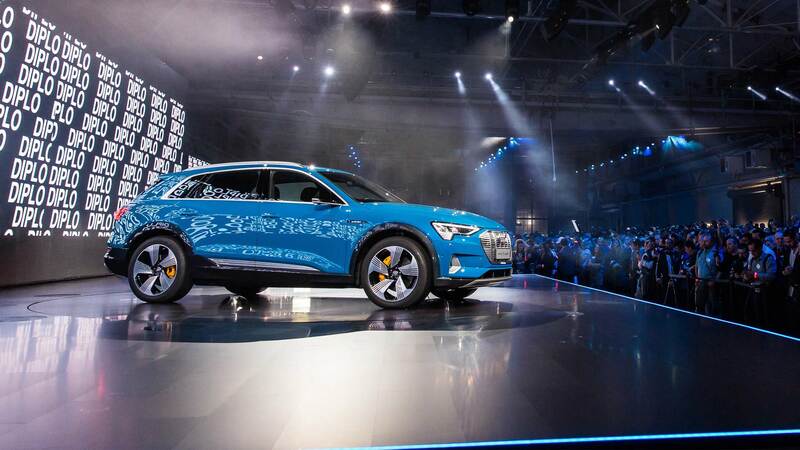 The Audi e-tron rolls off the assembly line at the CO2-neutral plant in Brussels. 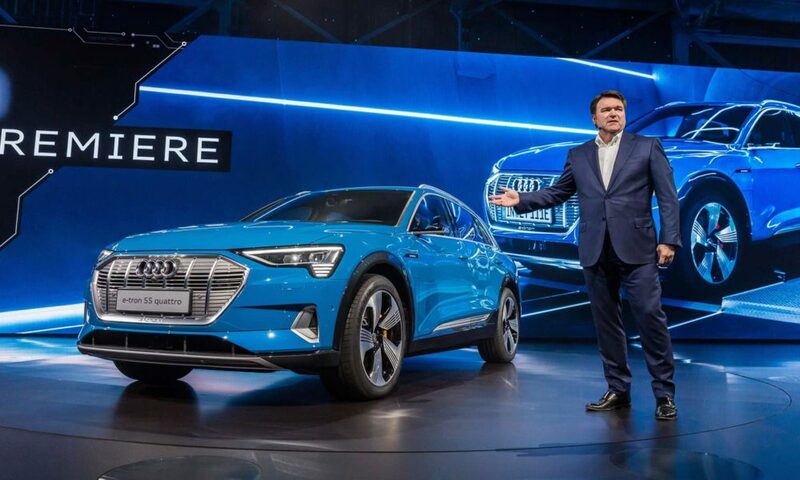 Initial deliveries to European customers are planned for late 2018. 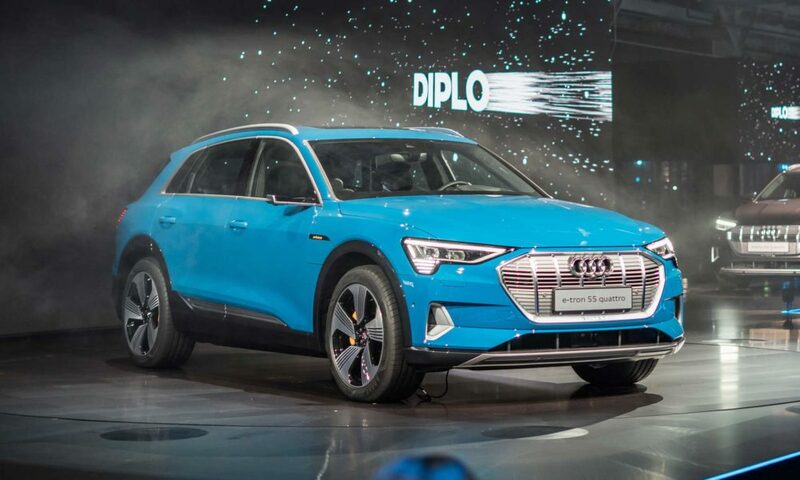 The electric SUV carries a starting price tag of €79,900 in Germany.